It is innovation that transformed us from a small textile trading firm into India's largest private sector enterprise and a Fortune 500 company. From sparking off the equity cult in India to setting up the world's largest grassroots refinery to now ushering in a digital revolution in India, Reliance has always demonstrated that innovation is in its DNA. Our innovations touch many facets of life in India – be it transportation, retail, or healthcare. Our bold ambitions for Reliance and for India push us to create an innovation agenda that is even bolder, ensuring that the next wave of growth will remain innovation-led. The Reliance Innovation Council (RIC) sets an agenda to actively nurture innovation within Reliance in order to safeguard its standing as a unique corporate entity and one of the most innovative companies in the world. In other words, the council – which consists of global thought leaders, Nobel Laureates, and iconic personalities – provides vision to the innovation movement at Reliance. Reliance Technology Group (RTG), which houses a state-of-the-art R&D centre and leads technology development at Reliance, was born out of RIC's vision. Raghunath A. Mashelkar, the Chairman of RIC, is an eminent scientist and President of Global Research Alliance. Earlier, he served as the Director General of the Council of Scientific and Industrial Research for eleven years, and is widely recognised for transforming the organisation. A former President of Indian National Science Academy, Raghunath is a prominent champion of the innovation movement in India. He is currently the Chairman of India’s National Innovation Foundation, a member of National Innovation Council and a member of the Scientific Advisory Council to the Prime Minister. He has been honoured with several awards from various institutions for his outstanding contribution in the field of science and technology and has received honorary doctorates from 29 universities. He won the JRD Tata Corporate Leadership Award in 1998 and the Business Week (USA) ‘Stars of Asia’ award in 2005. He won three of India’s highest civilian awards from the President of India – the Padma Shri in 1991, the Padma Bhushan in 2000, and the Padma Vibhushan in 2014. Mashelkar is also a member of the Reliance Board. Mukesh D. Ambani is the Chairman and Managing Director of Reliance Industries Ltd. He joined Reliance in 1981, and initiated the company’s backward integration journey – from textiles to polyester fibres, petrochemicals and petroleum refining, and finally, upstream into oil and gas exploration and production. Mukesh Ambani led the creation of several new world-class manufacturing facilities involving diverse technologies at Reliance, which have boosted organisational capabilities and capacities manifold. He also led the creation of the world’s largest grassroots petroleum refinery at Jamnagar in India, which is often referred to as the ‘refining hub of the world’ today. Ambani’s achievements have been acknowledged at national and international levels. In 2013, Forbes ranked him 38th in its annual list of the “World's Most Powerful People” while the All India Management Association named him the ‘Entrepreneur of the Decade’. In 2010, he was awarded the Dean's Medal by University of Pennsylvania for his “visionary leadership in the application of engineering and technology for the betterment of mankind”. In 2009, Harvard Business Review in its global ranking of the top 50 CEOs ranked him the fifth best-performing CEO. An extreme innovator, he is always on the lookout for businesses of the future that have the potential to change the game. Jean-Marie Lehn became a professor of chemistry at the Université Louis Pasteur in Strasbourg in 1970 and has, from 1979, been a professor at the Collège de France in Paris. He won the Nobel Prize in Chemistry in 1987 for his studies on the chemical basis of ‘molecular recognition’ – the way a receptor molecule recognises and selectively binds a substrate – which also plays a fundamental role in biological processes. Over the years, his work led to the definition of a new field of chemistry, which he has proposed calling ‘supramolecular chemistry’, as it deals with the complex entities formed by the association of two or more chemical species held together by non-covalent intermolecular forces. Subsequently, the area developed into the chemistry of ‘self-organization’ processes and more recently into ‘constitutional dynamic chemistry’. Author of more than 800 scientific publications, Lehn is a member of many academies and institutions. He has received numerous international honours and awards, including over 30 honorary doctorates. Robert H. Grubbs is a Victor and Elizabeth Atkins Professor of Chemistry at California Institute of Technology. He received the 2005 Nobel Prize in Chemistry (along with Richard R. Schrock and Yves Chauvin) for the development of the metathesis method in organic synthesis. He is the inventor of ‘Grubbs Catalyst’ technology and his international reputation in organometallic chemistry is second to none. He is also a founder, director or advisor to numerous technology companies. Grubbs has authored more than 400 publications and holds over 80 patents. George M. Whitesides is Woodford L. and Ann A. Flowers University Professor at Harvard University. He joined Harvard's Department of Chemistry in 1982 and served as Department Chairman from 1986 to 1989. His contributions have left an indelible impact on a number of research areas, including materials science, biophysics, surface science, polyvalency, microfluidics, optics, self-assembly, microfabrication, nanotechnology, and cell surface biochemistry. Whitesides has held advisory positions on the National Research Council, National Science Foundation, and the Department of Defense's Defense Advanced Research Projects Agency. He is a co-founder of companies with a combined market capitalization of over $30 billion, including the leading biotechnology company, Genzyme. Gary P. Hamel is Visiting Professor of Strategic and International Management on the faculty of the London Business School, where he has been teaching since 1983. He is also the founder of Strategos, a strategy and innovation consulting firm. One of the world’s foremost management experts and authors, he has been called “the world’s most influential business thinker” by The Wall Street Journal and “the world’s leading expert on business strategy” by Fortune magazine. Hamel has pioneered concepts such as ‘strategic intent’, ‘core competence’, ‘industry revolution’ and ‘management innovation’, which have revolutionised corporate practices across the world. He also works with governments on matters of innovation policy, entrepreneurship and industrial competitiveness, and is a Fellow of the World Economic Forum. Hamel is also the director of nonprofit research foundation Woodside Institute and co-founder of open innovation initiative Management Innovation Exchange. William A. Haseltine is chairman of Haseltine Global Health, a virtual pharmaceutical company dedicated to developing new and more efficient means to develop new life-saving drugs and medical devices. He is also president of the Haseltine Foundation for Medical Sciences and the Arts and has an active career in both science and business. He is a former professor at Harvard Medical School and is renowned for his pioneering work on cancer and HIV/AIDS. He is a cofounder of Human Genome Sciences Inc. and served as the chairman and CEO of the company until 2004. He is also the founder of seven other successful biotechnology companies. He serves as an advisor to CMEA, a venture capital company, and to several biotechnology and pharmaceutical companies. The Reliance Innovation Leadership Centre (RIL-C) was set up to serve the innovation vision of the council. This centre implements the innovation agenda by deploying the best and next transformational innovative practices that will impact not only Reliance, but the industry and country at large. The centre aims to impact every element of the innovation ecosystem at Reliance – be it people or processes, technologies or new businesses. Reliance recognises that that every mind is creative. 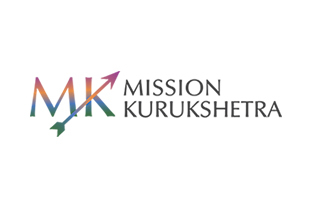 Mission Kurukshetra (MK) is a step towards democratising creativity and innovation within the organisation. Through the Mission Kurukshetra platform, our people can submit ideas and track their progress right up to implementation. In addition, businesses can put up specific challenges seeking novel ideas and solutions. In short, MK aims to be a platform where ideas are born, brought to logical conclusion and executed for impact. The Beyonders programme aims at creating innovation leaders at Reliance by linking opportunity with innovation training. Participants receive training in multiple world-class innovation approaches to break psychological inertia and enhance quantity and quality of their ideas. In addition, the programme gives the participants opportunities to lead substantial innovation projects. 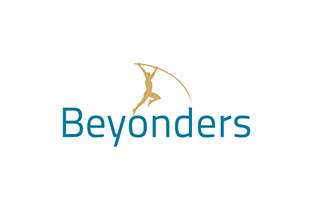 The logo reflects the attitude of Beyonders – where others are satisfied with leapfrogging, Beyonders believe in pole-vaulting. The D4 programme aims to create a drive for innovation within our people, ultimately creating a vibrant culture of innovation. This programme is action-oriented – participants identify innovation opportunities and are trained to use cutting edge innovation tools and techniques to find innovative solutions. The ultimate objective is to achieve bottom-up innovation and help accelerate the accomplishment of organisational goals. Innovation thrives within inspired minds. LEAP was born with the aim of providing people at Reliance with access to global thought and innovation leaders through interactive sessions. From industry captains to Nobel Laureates, senior government officials to social crusaders, all have inspired and mesmerized the people of Reliance through LEAP. Organisational innovation requires democratisation of specific innovation skills and behaviours across the employee strata. 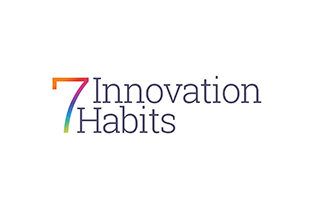 The seven innovation habits programme aims at empowering entry-level and middle level employees at Reliance with specific innovation skills and problem-solving capabilities. It is a voluntary program open to all employees across Reliance as a one day innovation workshop. The Reliance Innovation Awards recognize the spirit of Reliance – to set quantum goals, be bolder than others, reinvent and make the impossible possible. These are annual awards which salute and celebrate our innovation achievements. After all, we will need more of these achievements as we reimagine the future! The infinity symbol depicts exactly that – infinite aspiration, infinite innovation, infinite growth.